The Basics of the Rules of Poker Games …. 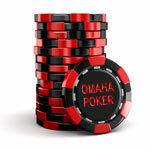 Learning how to play poker is not hard as you think, and we are here to guide you through the minefield of information. Poker has many different forms and there are lots of different Poker Games which means there are lots of different sets of Poker Rules. If you do not understand the difference between all the different poker games then you will only get confused by reading conflicting information, so the first step is to let us explain the different types of games. 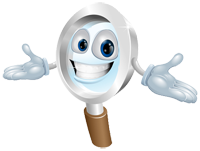 Once you understand the background then you can select the game that you want to focus on, and then follow one of our clear, no Jargon, step by step guide to the rules of that game. 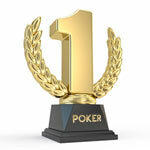 There are three main categories of poker games. Lets take a look at each one individually. These games use a combination of cards dealt to the player and community cards dealt in the centre of the table for all players to share. The first three community cards are called the “Flop” hence the name. Players will try to make the best hand possible out of the five community cards and the cards they hold in their individual hand. 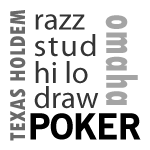 Texas Holdem is a Flop poker game and is the most popular and widely played poker game and is a great game to choose to learn first when you start learning how to play Poker. These games do not use shared community cards and each player is dealt their own cards which only they can use during the hand. Some cards will be dealt face up for all players to see, and others will be dealt face down so only the player can know what they are. Again, all players are dealt their own cards which only they can see and use during the hand. 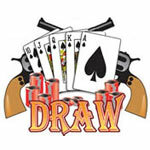 In Draw Poker Games all the cards are dealt face down so no cards are visible to other players. As a result of this this type of poker game is heavily reliant on working out the strength of your opponents from their actions. During the course of the hand, players will be given an opportunity to replace any of the cards in their hands for new ones by drawing cards from the deck. 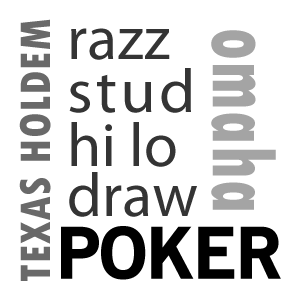 Mixed games are where the poker game played is rotated and several poker games can be played, varying across all types of games. These are considered the ultimate poker challenge as you have got to know the Poker Rules for multiple games and be able to play each of them well and switch seamlessly between games that will require different approaches and strategies. 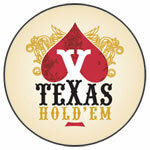 We recommend that you start by learning how to play Texas Holdem if you are new to poker. The game is easy to learn and provides a very good basis for all other types of games.